In 2015, Ray journeyed deep into the remote backcountry of the Temagami region of Ontario, Canada. Here he found himself immersed in Canada’s canoe culture, and the captivating legend of Archibald Belaney, better known as Grey Owl. This entry was posted in Competitions, Ray Mears and tagged Archibald Belaney, bushcraft, Canada, conservation, Grey Owl, Ray Mears on January 6, 2016 by Woodlore Limited. Thank you to everyone who entered the recent Ontario Tourism competition to win a wilderness adventure to Ontario with Ray Mears. Ontario Tourism Marketing Partnership has now revealed the winner of their UK prize draw. 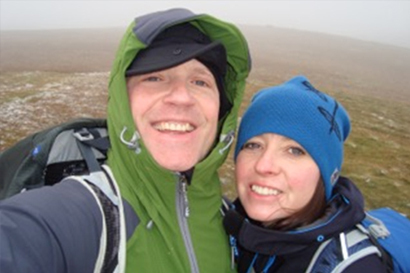 Congratulations to Jonathan Armstrong (pictured with his wife below) from Manchester, who was drawn at random from over 26,000 entries to the competition. This entry was posted in Competitions, Ray Mears and tagged Canada, Canoeing, competition, expedition, Ontario Tourism, Ray Mears, travel, Wabakimi on July 6, 2015 by Woodlore Limited. To celebrate the long-awaited return of the Bergans Morgedal Backcountry Anorak, Woodlore will be giving away three of these excellent cotton smocks in the coming weeks leading up to their release. To enter this exclusive competition, all you need to do is visit the product page here and click on the ‘Notify Me’ button; then simply enter your name and e-mail address. By doing this you will receive an automated e-mail once the product is available to purchase, but you will also be entered into our prize draw. This entry was posted in Bushcraft Clothing & Equipment, Competitions and tagged Anorak, bergans, competition, Morgedal, special offer, win on April 17, 2015 by Woodlore Limited. Some of you dedicated Woodlore blog fans may remember an interview that took place with Dan Hume back in August 2011, that comprised of questions asked by you. This year we are offering you the chance to put questions to our recently appointed Instructor Keith Whitehead. Keith has very kindly offered himself up as an interviewee, and will be answering a selection of your questions on topics chosen by you. This entry was posted in Competitions, The Woodlore Team and tagged bushcraft, competition, courses, instructor, interview, keith whitehead, questions, woodlore on January 27, 2015 by Woodlore Limited. This entry was posted in Bushcraft Courses & Expeditions, Competitions on November 30, 2011 by Woodlore Team. For the dedicated Woodloreans out there who have been following our blog since its inception last year, you may remember that last summer we asked all of you for your thoughts on how we could improve our blog. One of the ideas put forward was for an ‘Ask a Woodlore Instructor’ post, whereby we would take questions submitted by you and put them to one of our instructors. Well, it may have taken us a year to get round to it, but here we are! 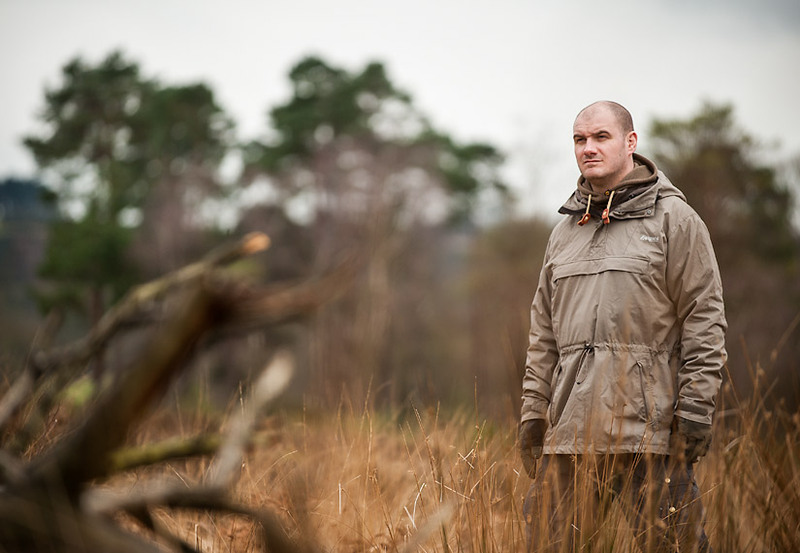 Dan Hume, one of Woodlore’s Fundamental Instructors, has very kindly offered himself up as our first interviewee, and will be answering a selection of your questions on topics chosen by you. 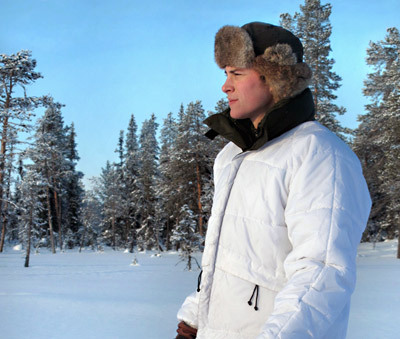 During his career at Woodlore, Dan has led our Fundamental Bushcraft, Woodsense and Traditional Living Skills courses, as well as assisting on our Arctic Experience expeditions. Later this year, he will be leading our Wilderness Navigation and Journeyman courses for the very first time. If you’d like to get involved, all you need to do is post your question as a comment below (we’ll keep all of the comments hidden before picking the best ones to put forward to Dan). The person who submits the best question, as chosen by Dan himself, will win a £10.00 Woodlore Voucher. This has the makings of a really interesting article, so we’re excited (and maybe a little worried) to see what sort of questions we get! This entry was posted in Competitions, The Woodlore Team on July 6, 2011 by Woodlore Team. The Seeland Keeper Hunting Cap is a breathable, fleece-lined peaked hat designed specifically for hunting and stalking, and we’re giving one away. From our Online Shop, what is Ray’s favourite item of clothing, which he often wears when stalking? The first person to comment with the correct answer will win a Seeland Keeper Cap in the size of their choice. UPDATE: Congratulations to Ciaran Rooney! 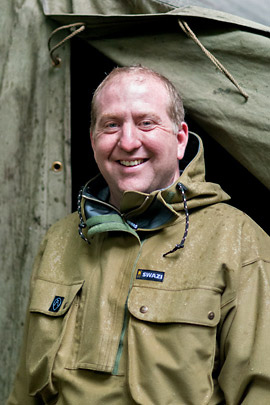 Ciaran was the first to comment with the correct answer, which is indeed the Swazi/Ray Mears Tahr Anorak. 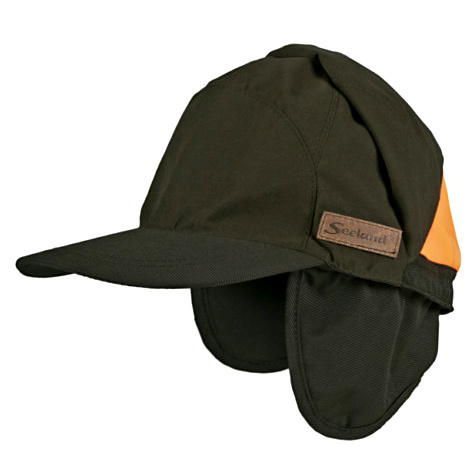 A Seeland Keeper Cap is on it’s way to you. Thanks to everyone else for all your entries as well. This entry was posted in Bushcraft Clothing & Equipment, Competitions on June 14, 2011 by Woodlore Team.